I already shared some fun Thanksgiving crafts for kids, but if you are looking for something with a more generic Fall theme, here are five fun Fall crafts for kids that focus on my favorite Fall visual, colorful Fall trees. La Classe Della Maestra Valentina has a great painted tree craft that uses cotton swaps to paint impressionist like dots of color on fall leaves. 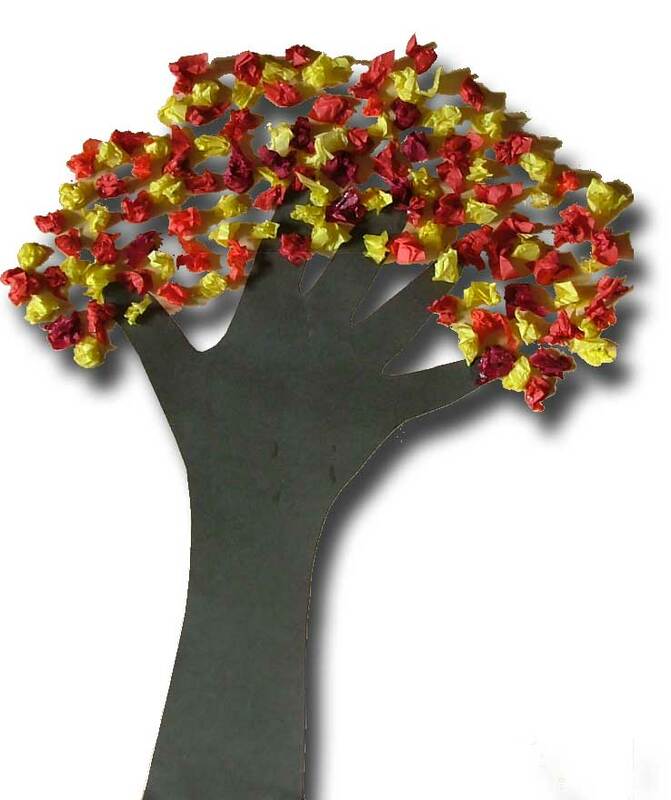 Paper crafts for children replaced paint with pieces of tissue paper to create this colorful tissue paper fall tree craft. I love how they used the handprint for the trunk. Walking by the Way took it a step further and adorned the handprint trunk with fingerprint leaves for this personalized Fall craft for kids. 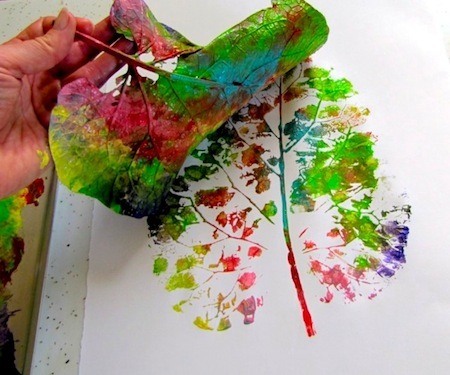 Of course, you could make handprint leaves as well, like this fun tree. It would work really well in a classroom. 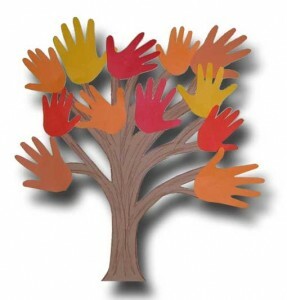 You could decorate a bulletin board in your class with one tree with all of the leaves made with handprints of the students. And although this last one doesn't use handprints at all, using a Fall leaf to create a Fall tree print might be a fun change from the ordinary for your little crafters. Those are all so cute! 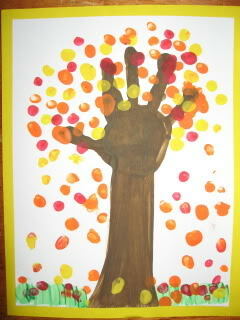 I need to let my boys do the fingerprint one soon...it is adorable! Thanks for sharing!